After a few years of dating Ben (a scientist) & Bridget (a lawyer) knew they had found some special chemistry and were excited to start the next phase of their lives together and make it legal! 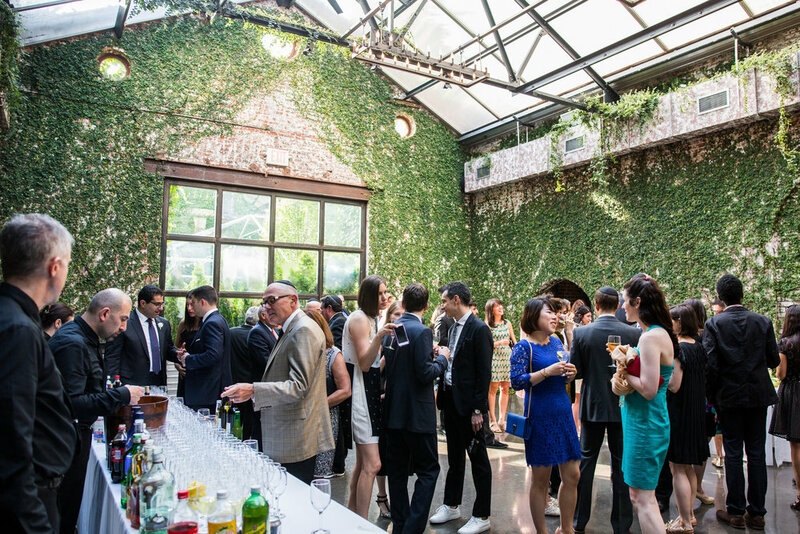 They chose the Foundry as their wedding venue for their intimate jewish summer wedding. 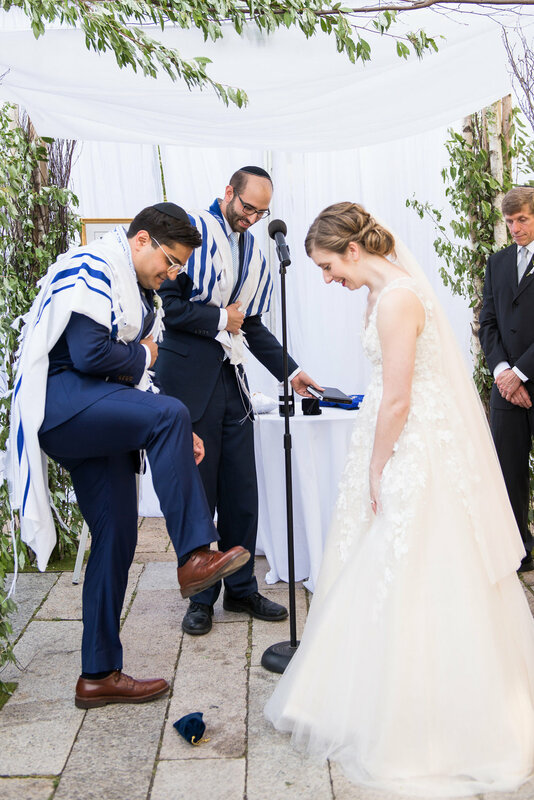 With a first look on the Terrace and portraits in the sun they then joined their wedding party including a handsome bridesman, together with their families and Rabbi Witkovsky, to sign the Ketubah before the ceremony. 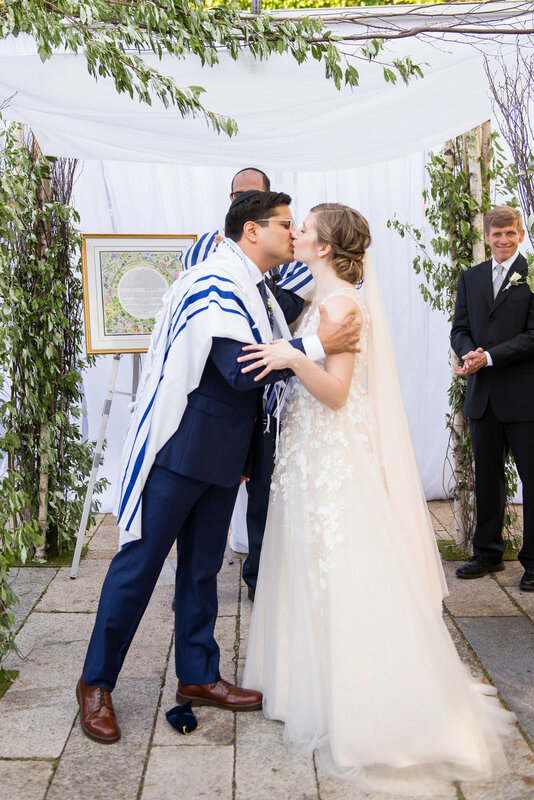 The ceremony took place in the sunny courtyard under a beautiful wood Chuppah, decorated with white linen and foliage that tied into their theme and venue. After the breaking of the glass the newlyweds snuck off for the Yichud (time for the couple by themselves) as guests moved into cocktails in the greenhouse. 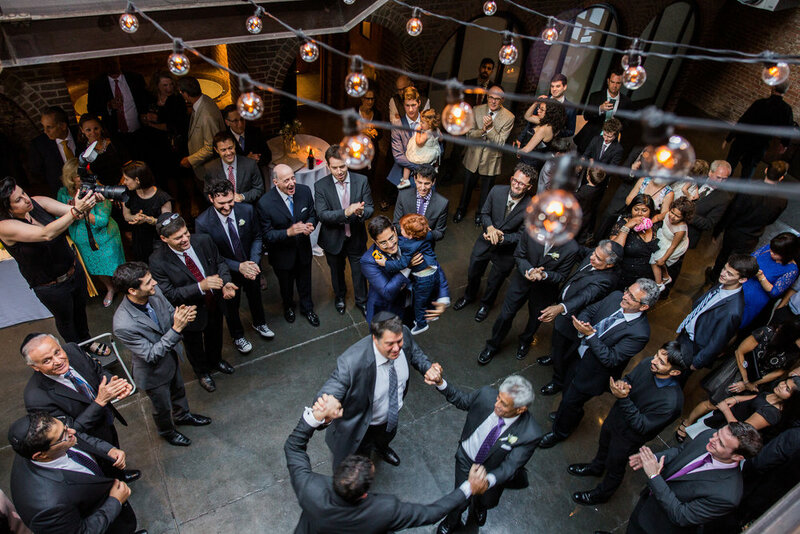 After the couple had rejoined their guests, the crowd got started with the Mezinka (dance surrounding parents) as both Ben + Bridget were the last children to be married in their families, this was followed by the Hora! 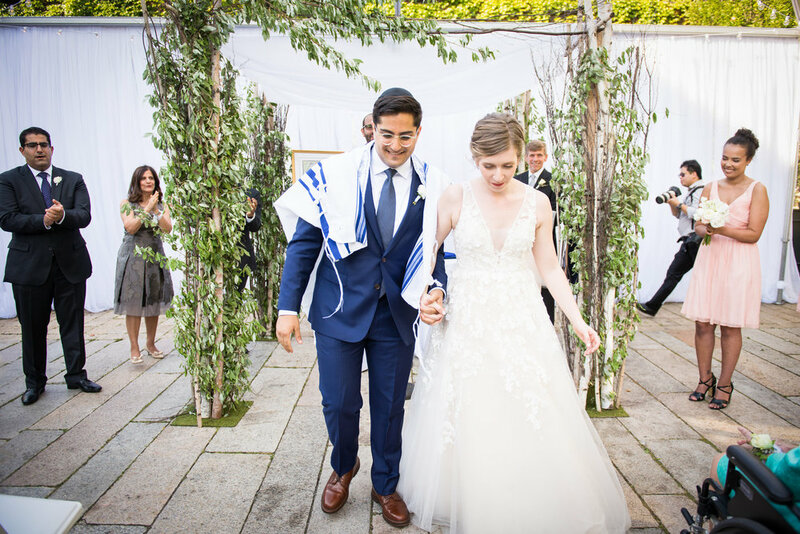 After dancing up a storm, guests were invited into the courtyard, for the Motzi Challah blessing and al fresco style three-course Kosher dinner at long communal tables featuring a central garland in keeping with their romantic theme with summer florals and candlight. 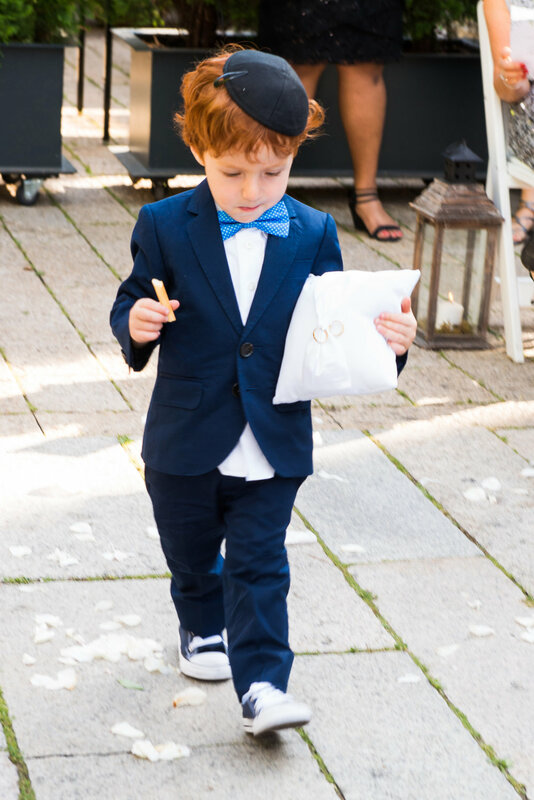 After cake and tired feet from more dancing, guests took home summer lavender candles and personalized matches as favors from the couple.